We have been very busy at KES!!! 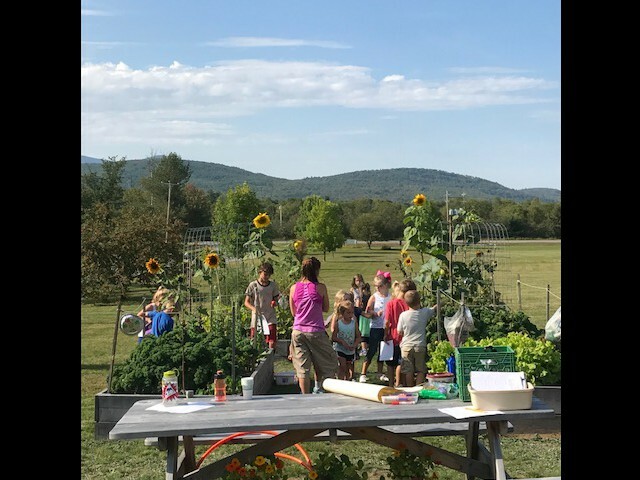 As you will see in this newsletter, things have been busy at Kingfield Elementary School this Fall. 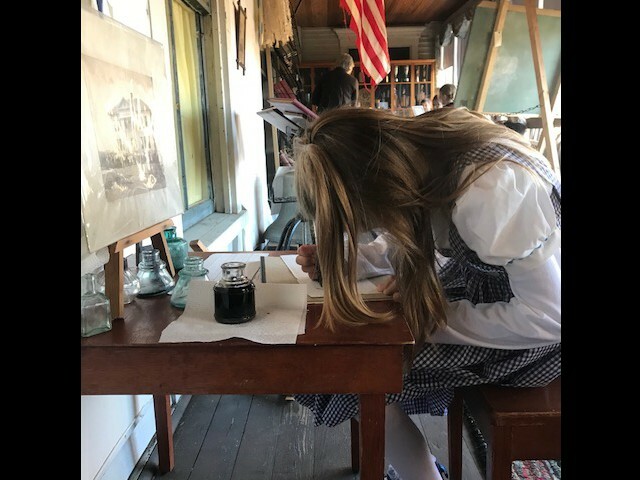 Students have been learning so much! 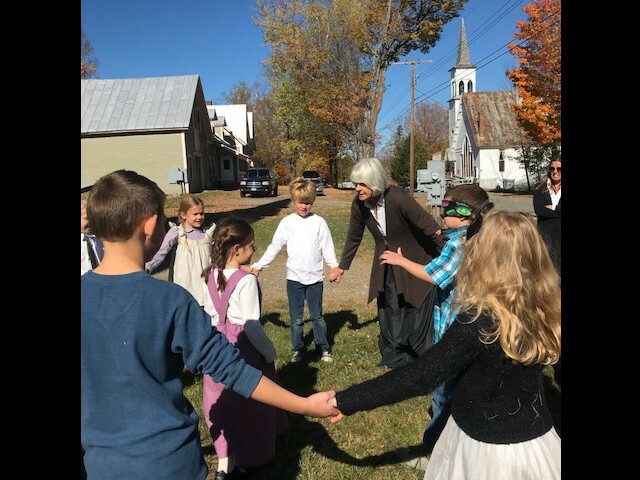 They have had many opportunities to learn through hands-on experiences and interactions with different community groups. 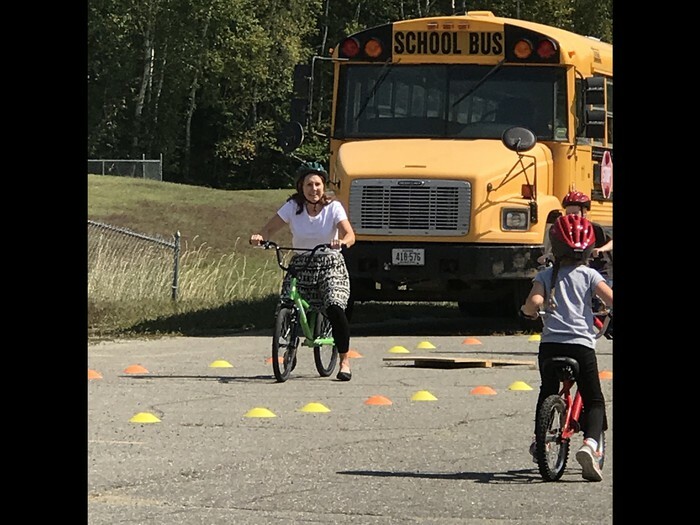 We have had opportunities for additional physical fitness activities as well and it is not even ski/skate time yet! 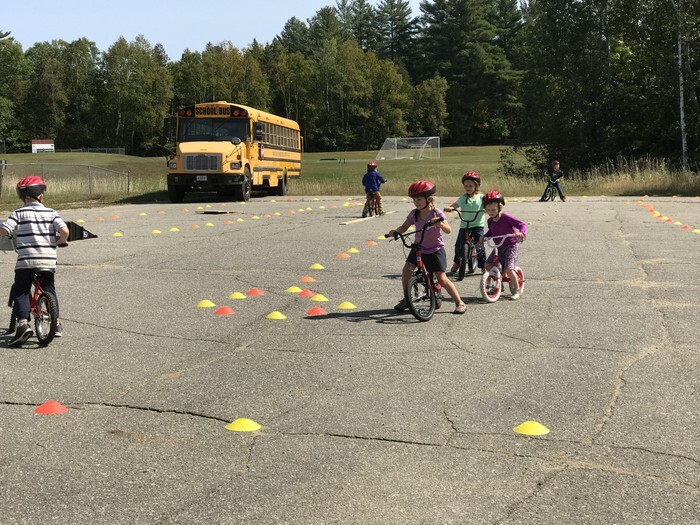 On August 30th, the first student day of school, Rob Surette visited Kingfield Elementary School. Rob is a painter who is in the Guinness Book of World Records for his speed painting. 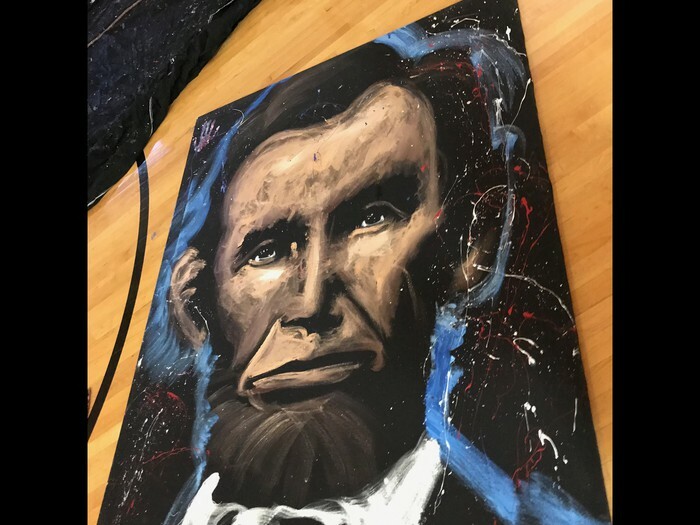 He works for Disney and travels around providing students with an inspirational show as he paints for them. 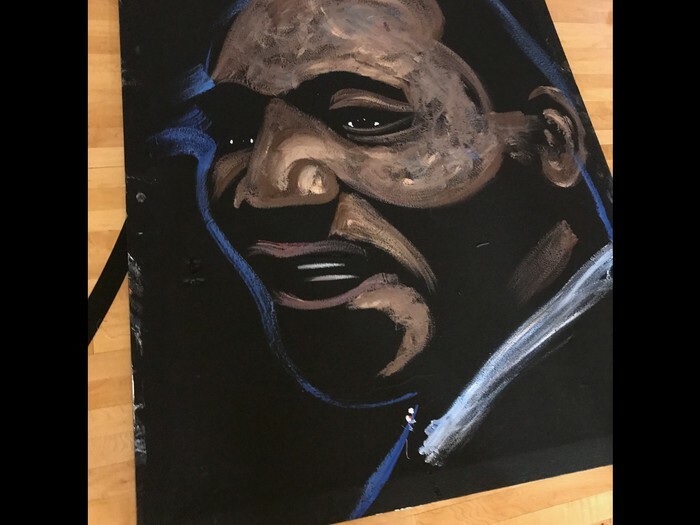 We were fortunate to be able to keep one of the large paintings of Albert Einstein for our school. 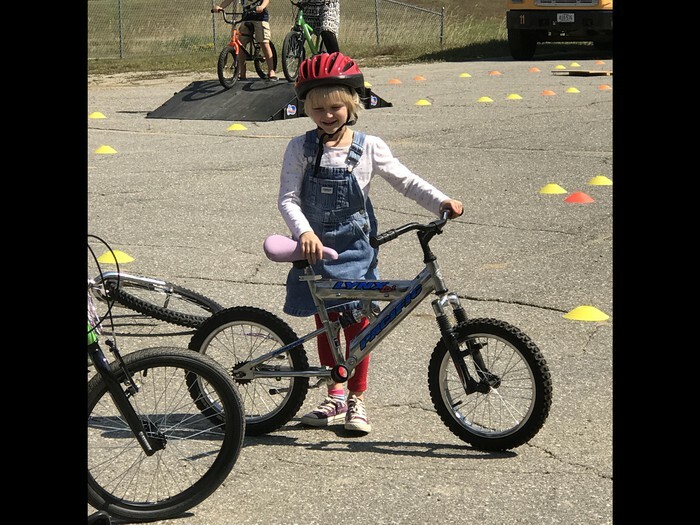 On Monday, September 11th, Shannon Belt from Bike Maine offered a bike safety/rodeo session to our K-2 students. This was part of the Bike Maine 7 day cycling tour. On the 11th, the bikers came through Kingfield. Shannon would like to return and work with our students again in the spring. 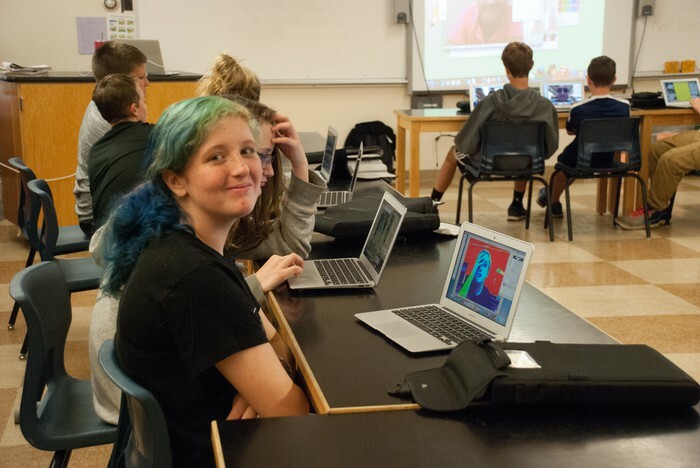 Our district receives a Gear Up grant of $50,000 each year for 7 years. 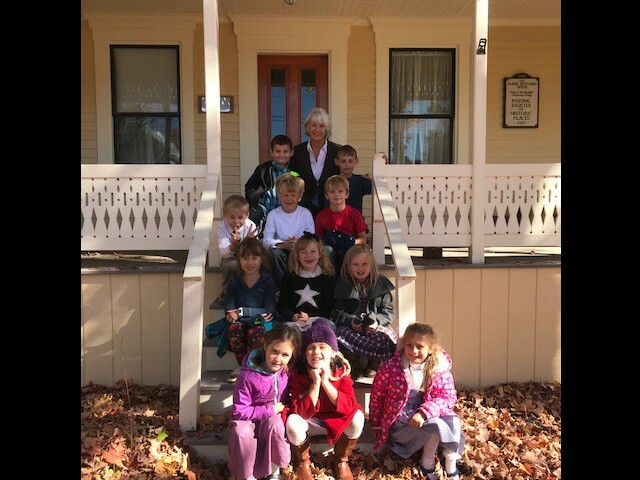 This is year 4 of the grant. This money is to support college and career preparation, awareness, and inspiration for students in grades 7-12. National Gear Up week offered some time to focus on these topics. 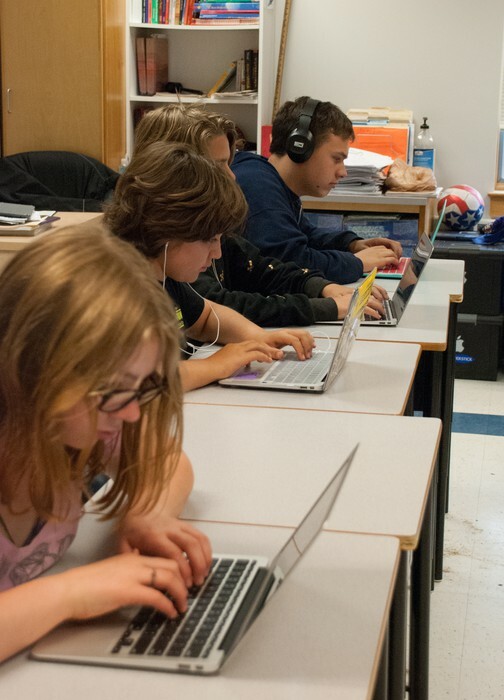 Students were part of discussions around their future career paths and goals that they have to meet to become successful in attaining those careers. 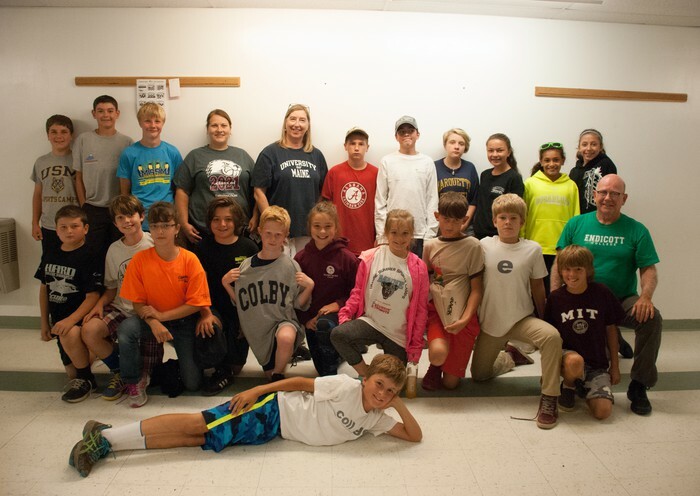 5-8 students and staff who wore their local business and/or college attire. 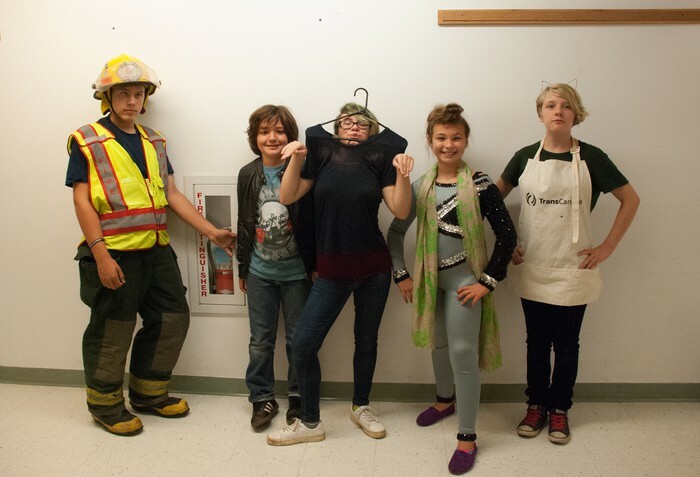 5-8 students who dressed as their future career choice. 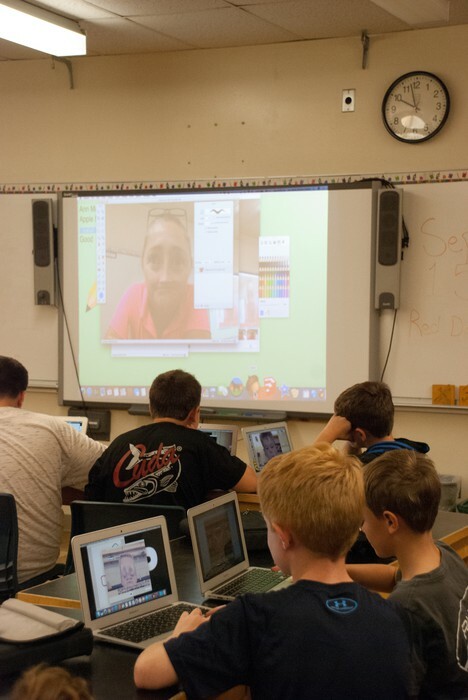 On September 18th, three presenters from Apple came to the school to work with our students. 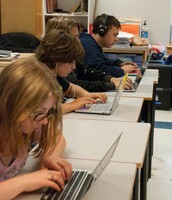 Students traveled between four different sessions throughout the day. 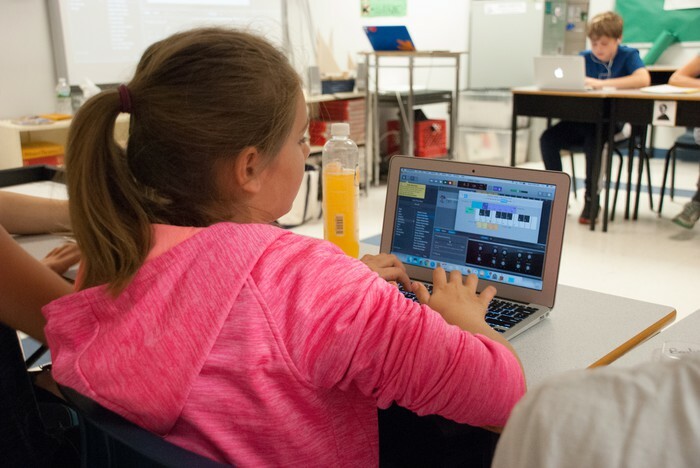 The four sessions included: Acorn, Garage Band, Imovie and study games. 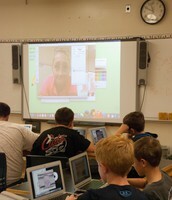 The students gave very positive feedback and were engaged at each of these sessions. 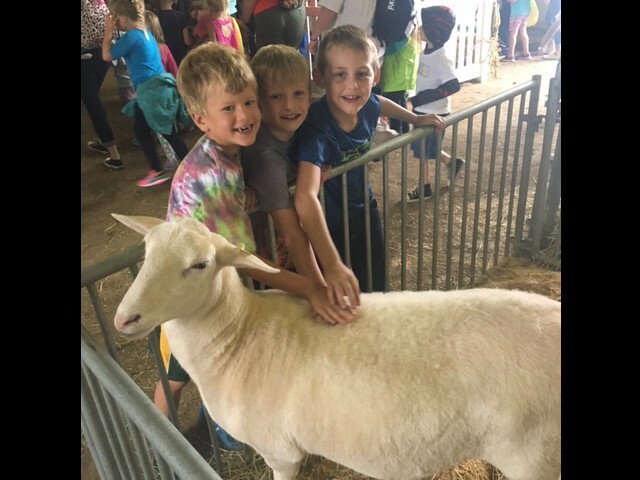 On Monday, September 18th, our K-4 students attended the Farmington Fair's Agricultural Day. 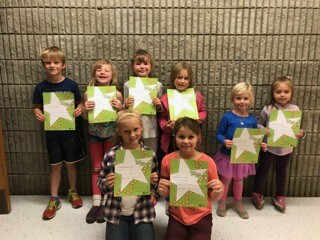 They had a great time exploring the fair and following a scavenger hunt provided by their teachers. 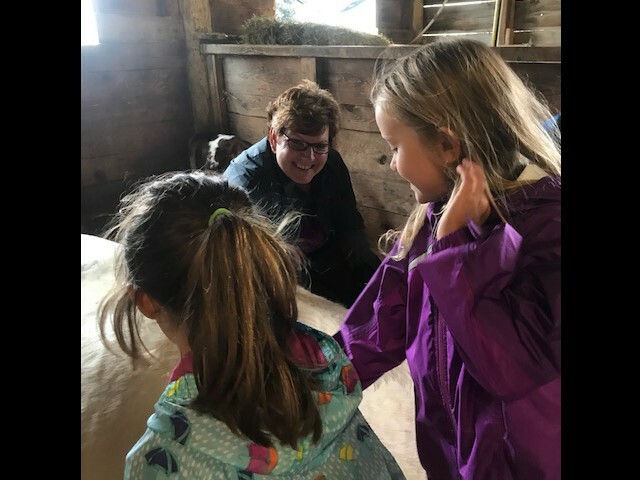 They even got to visit Superintendent Pratt and her animals. 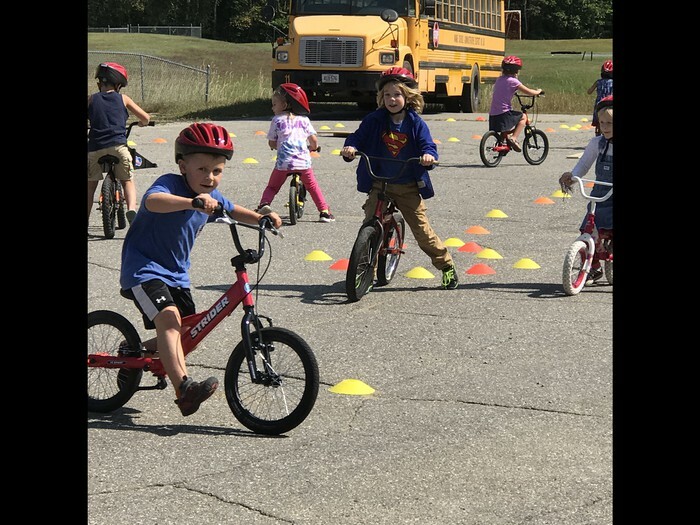 Kingfield Elementary School will be using the 7 Habits of Happy Kids again this year. 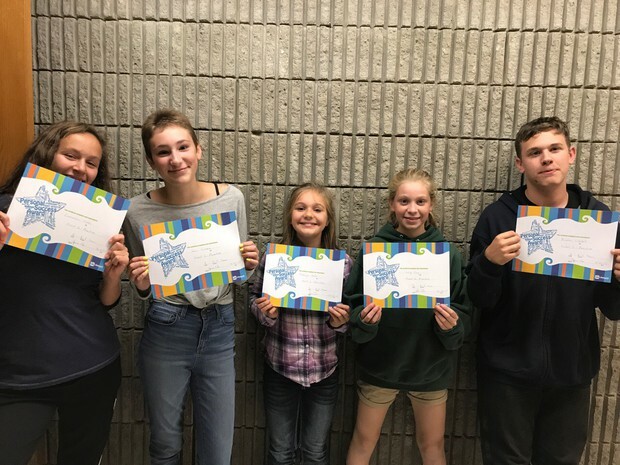 We had our first assembly on Monday, October 23rd and awarded our most "proactive" students in grades K-8. 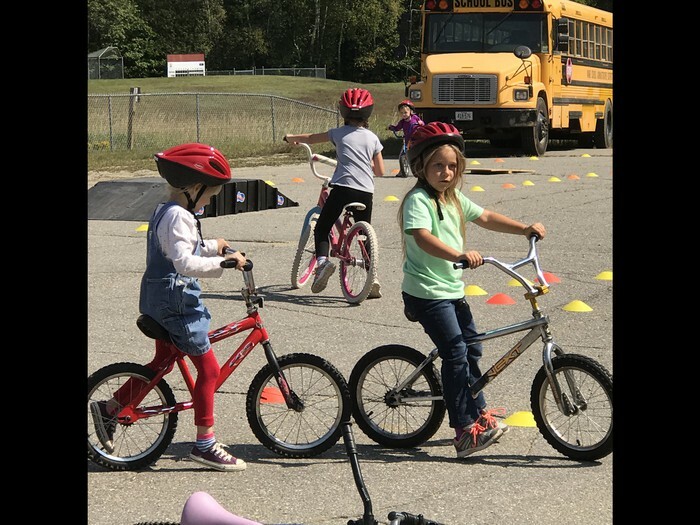 The annual bike and walk to school day took place on Thursday, October 5th. 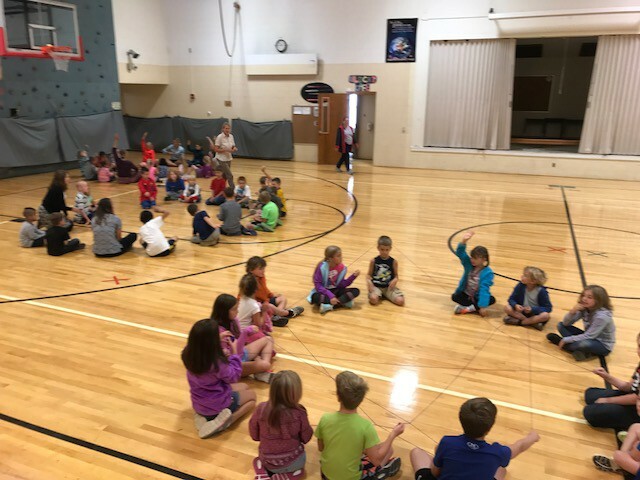 Many of our students participated in this activity! 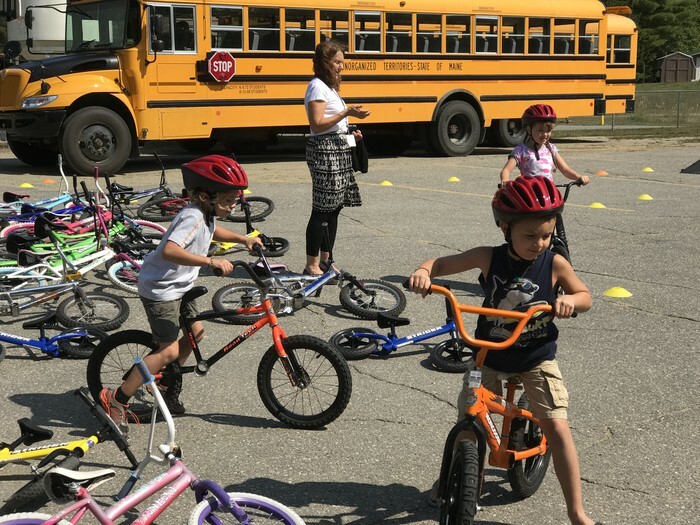 It was a nice day for a bike or walk to school! 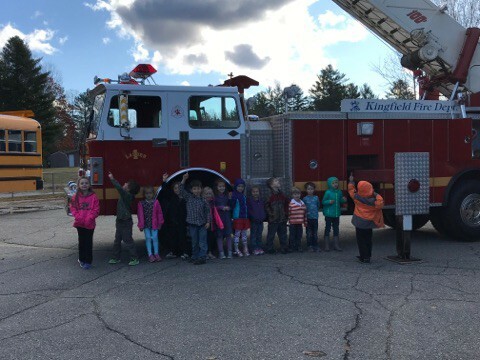 Fire safety day took place on Friday, October 27th. 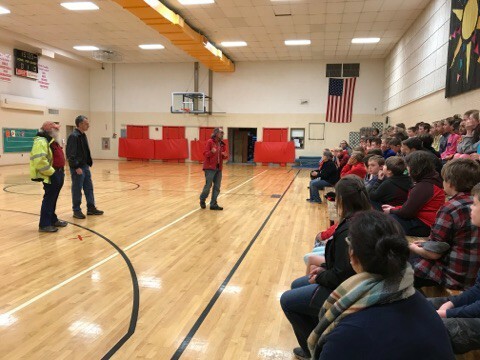 All prek-8th grade students participated in the training that was done by our local firefighters (including one of our own students, a current junior firefighter, Nick Lobdell). Prek and Kindergartners all received a smoke detector to bring home. There were many gardeners this year. They had a very productive season! 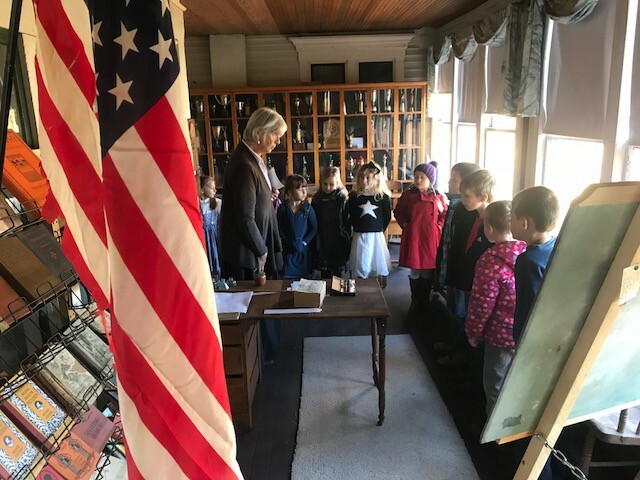 2nd graders visited the local historical society and were fortunate to eat a lunch that they were able to prepare the day before with Joan Meldrum. 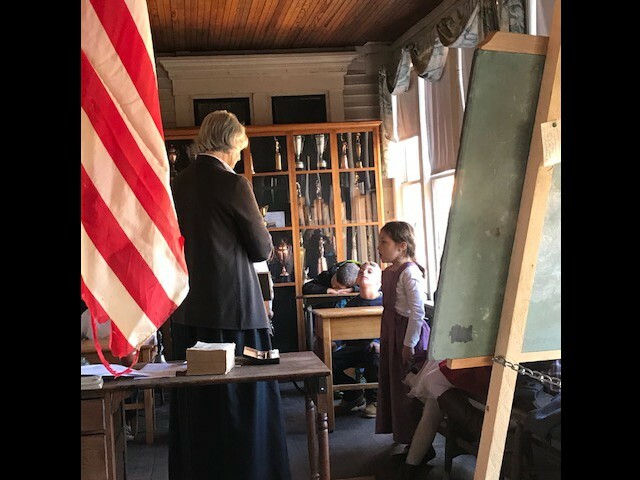 Students dressed, learned, played and ate as the students of over a hundred years ago did. The PVG would like to remind parents that they are always looking for volunteers. Please contact the school if you would like more information on this group. 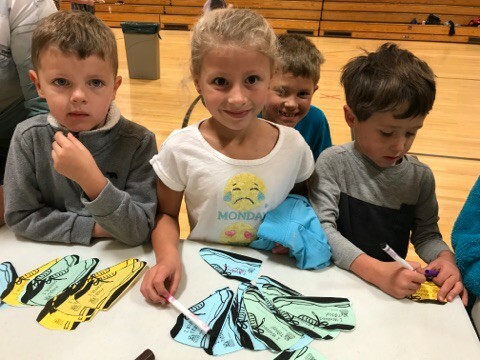 Box tops can be turned in any time at the school. We have a box to collect these in right in the teacher's room near the lost and found. Remember that you can continue to earn and submit your Hannaford Helps donations through December 2nd, 2017. 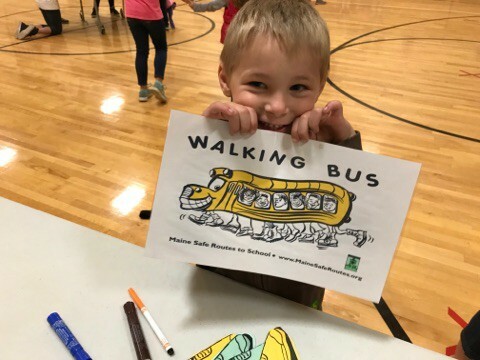 This is an easy way to help earn funds to use for school activities. Many hours have been spent by teachers collaborating on identifying anchor standards to include on report cards. 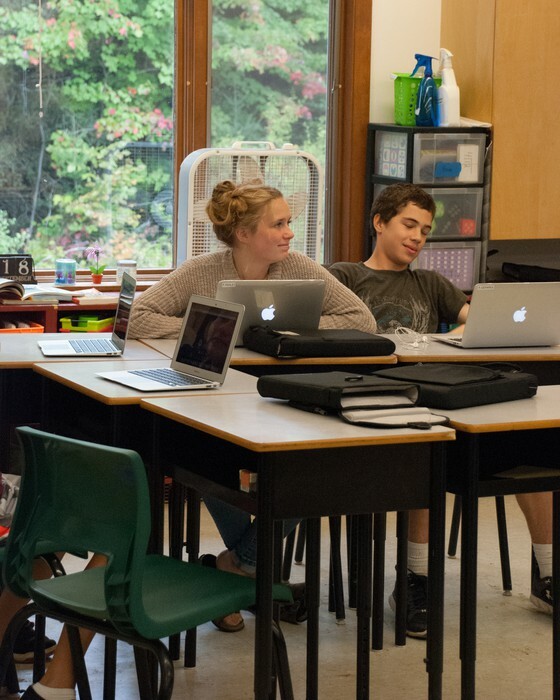 The initial standards for reporting have been identified in Math, ELA, Science, Social Studies and Physical Education. Remember that report cards will now show a 1,2,3 or 4 for the "grade" instead of using a 0-100 scale. 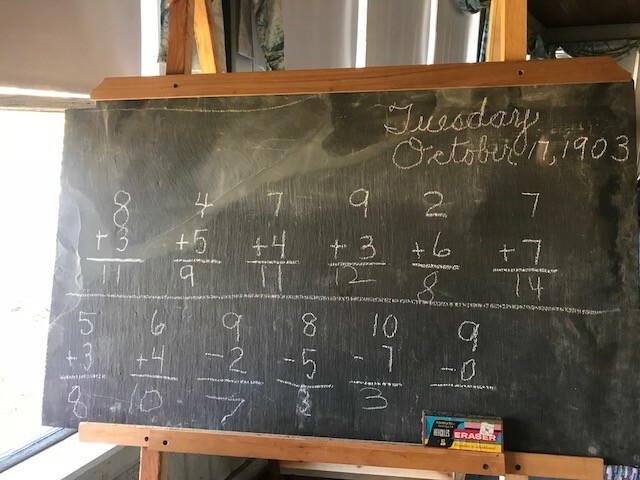 The four numbers identify the point that each student is at in mastering the identified standards. If you have questions about these scores or would like more information about this new process, please reach out to your child's teacher(s). This is a learning process for all of us. Thank you for your patience as we continue with this process. Here is a short video that shows ways that you can help support your children to have a growth mind set instead of a fixed mind set.